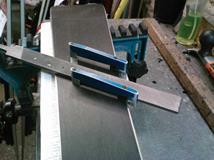 When tuning a ski/board it is important to take care of the steel edges. The edges are filed and then polished with diamond stones of varying grit to remove burrs and harden the edge. To better understand why edges are beveled, it is important to understand what happens during the tuning process. The diagram shows a cross section of an edge and each step of filing the base and side. 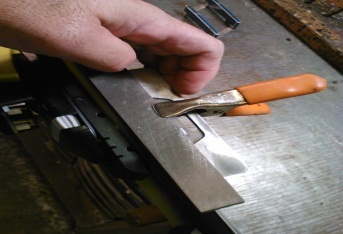 As you can see both the edge and base where filed resulting in a different shape. 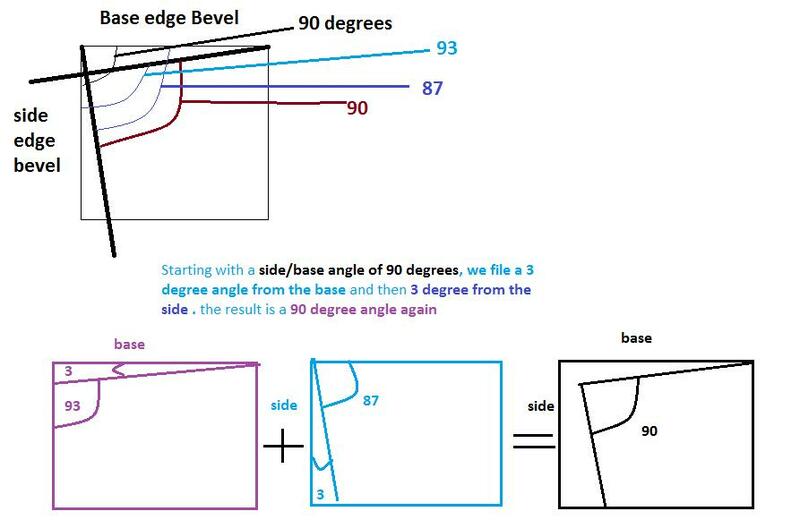 Since 3 °were taken off the edge and the base the result was still a 90 °angle. Base and side angle increase performance of the ski/board differently. If the 90 °edge/base angle was not modified it would be very difficult to ski/ride. The skier/rider would constantly “catch edge” and have minimal control. Also steel does not glide as smoothly as the polyurethane base. Therefore, the base angle must be modified to reduce friction. The side angle is modified to grip the ice or snow on turns. The typical angles used by manufacturers and shops are a 92° side angle and a 1° base. However, skiers/riders can change these angle based on the conditions of the mountain or the type of skiing/riding.